Inflatable Sale Tag. This is very easy to set up. Impressive 10' tall advertising inflatable. It's easy to see from traffic if set up at the street of a car dealership or store front. 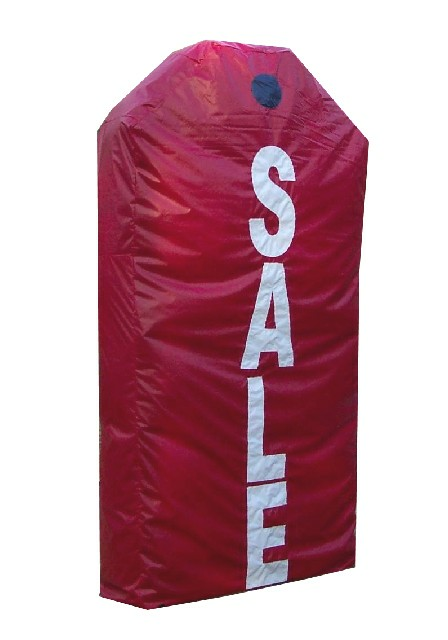 10' tall inflatable sale tag used for advertising. Great for advertising big sales. It's sure to get EVERYONE's attention. And like the rest of our balloons, before we send it out, it's inflated and inspected. You will ALWAYS be satisfied with the product you order from us.